Did you know that after March 31st 2014 you will not be able to purchase Health Insurance for 2014 … AT ALL? That’s right, after the 31st, the Open Enrollment will be closed for the rest of the year!!! 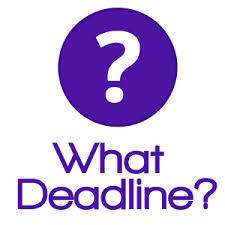 A lot of people are under the impression that the deadline only applies to Marteplace plans or Exchange Plans, but the deadline will apply to ALL Individual Health Insurance. The only plans available from any carrier will be Short Term Plans or Limited Medical Plans. These plans DO NOT COVER pre-existing conditions, they are not all Guaranteed Issue, and DO NOT qualify as Minimum Essential Coverage. So what that means to you is if you are covered by a Short Term Plan or a limited medical plan, you probably will still be subject to the Tax Penalty when you file your 2014 taxes. If you or someone you know needs Health Insurance, please call 877-740-8683 as soon as possible, to explore your options. Furthermore, if you have a current plan, you will not be able to change to a new plan after the deadline unless you have a qualifying event and even then it may not allow you to “change” your plan, only add or take away dependents. If you think you think you may want to change plans before 2015, the TIME TO DECIDE is NOW. Visit www.healthrefermenrollmentcenter.com , to compare plans, see if you qualify for a subsidy or enroll. Don’t get caught without Health Insurance, or get stuck in a plan you aren’t happy with.